Babesia can cause crippling fatigue and migraines. Weight loss or gain are routine,2 but so is disability from an additional fifty possible symptoms3 which were carefully derived from a decade of our research and presented earlier in our Checklist book.4 (See Images 1 - 3 and note the Babesia inside the red blood cells.) Despite these intimidating images, some patients have no symptoms. For others, their first or most serious symptom can be death by stroke, heart attack, blood clots in the legs or the lungs, or cancer. IMAGE 1. Babesia lives inside red blood cells. This routine giemsa-stained blood smear is MO-1, which means the first patient lived in Missouri. It was fatal. IMAGE 2. Babesia lives inside red blood cells. This routine giemsa-stained blood smear is WA-1, renamed duncani. IMAGE 3. A wide range of Babesia single-celled infections inside the critical red blood cell--the cell carrying oxygen to all of the body's cells. The density of infected cells shown here is not routine. What is routine is to examine a blood sample slide for three few minutes as the CDC suggests, and see no infected cells. We first became concerned with Babesia, as an infection which affects clotting, when we noticed patients clotting very fast when cut by shaving accidents or blood draws. Very high D-Dimer and thrombin-antithrombin complex formation (TAT) blood levels were found in our Babesia patients 7, as well as research in humans and dogs8, 9 Our worry about death from clots in humans was further supported when some patients required prescription blood thinners to prevent a clotting death. Further, another issue emerged also related to clotting. We were consulted on patients who had strokes. The trouble was they would take Coumadin or other medicines to keep their blood at a constant level of "thinness" to prevent another stroke, but their clot measurement labs were too variable for optimal clot prevention. All of these patients were eventually found to have Babesia and other tick infections, and their unstable blood thinning or clot risk labs, the PT, aPPT and INR, changed due to a Babesia infection. Heart and brain infarcts are the leading causes of death in adults. Babesia increases the incidence of these infarcts by an unknown percentage. The chemical changes that Babesia causes in the body may add to this problem. This is partly discussed in our book, Babesia 2009 Update.10 Babesia occasionally increases red blood cell size (MCV) so that red blood cells that normally measure 8 microns often can barely pass through 10 to 20 miles of human capillaries. Babesia's "sibling," malaria, another single-celled red blood cell parasite routinely causes brain infarcts,11 causes white blood cell adhesion and impairs venous blood flow causing pressure, edema and other coagulation disasters.12 No single test should ever be used to rule out a clotting risk from Babesia. Another top cause of death for adults is cancer. We believe that Babesia increases the rate of some cancers. The amount of natural killer cells with an outer CD57 marker can decrease with the presence of Lyme disease13 but Babesia, when it is killed, can decrease the levels of this type of cancer killer cell even more. For example, in proprietary research and in our physician patients who were only given Babesia medications, the levels of cancer killer cells with CD57 decrease very rapidly with effective Babesia killing. The use of anti-malaria medications used alone may also acutely decrease the levels of CD8 markers by Babesia death and presence of Lyme in the body. Another common cancer issue is the lack of testing for Babesia in most hemolytic anemia work-ups—the red blood cells are being destroyed, and hematologists seem to have no awareness that this may not be cancer but Babesia, even when told it is Babesia-related. Let me use a routine article to show this error. Nackos reports on a man who was admitted to a hospital weak and disoriented.14 His complete blood count (CBC) revealed mild anemia (hemoglobin 11 g/dL) and low platelets. His level of platelets had been normal 3 weeks earlier. My first appeal is that Babesia does not replicate very quickly. Nackos et al. seem to assume Babesia replicates like weeds because he seems to think all of the patient's Babesia load came from a single walk in the "country grass." We have serial Babesia smears examined every 2 to 4 months which show otherwise, proving Babesia is very slow growing. However, he is correct to consider a new additional bite is a trigger to acute illness and decreased function. The signs and symptoms were new in this poor man, but he already likely had Babesia present in his blood for years. Sometimes someone has a tick infection trigger event like a car accident, flu, another tick bite, a surgery, an airplane trip, a divorce, or the death of a close family member, which may trigger the sudden emergence of Babesia symptoms. However, the patient may have had Babesia for twenty years. Occasionally, there is no particular trigger. In this case he was possibly bitten again "in country grass a few weeks before his symptoms started." The author, Nackos, might be confusing a trigger event with the onset of infection. I suspect that the patient had walked in exposed areas hundreds of days. My position is—and the evidence indicates—that this was not his first tick bite. One final point: it is theoretically possible that Babesia may create symptoms like a high mysterious fever on a first bite, but we believe this is not the norm. We believe that the norm is that initial tick bites are experienced as trivial or merely a brief cold or flu, and after years of reproduction serious symptoms start. Further, Nackos's patient showed evidence of shredding red blood cells. In response to the destruction of mature red blood cells, young red blood cells come out of the bone marrow quickly. These are called reticulocytes and his count was 5.56% (0.5% to 2.17% normal range). Lactate dehydrogenase was also very high at 540 IU/L (98 to 192 IU/L normal range), consistent with the deadly excess destruction of red blood cells called hemolysis. His peripheral blood smear showed many parasites that looked like Babesia. It is highly unusual for hospital clinicians to consider Babesia. 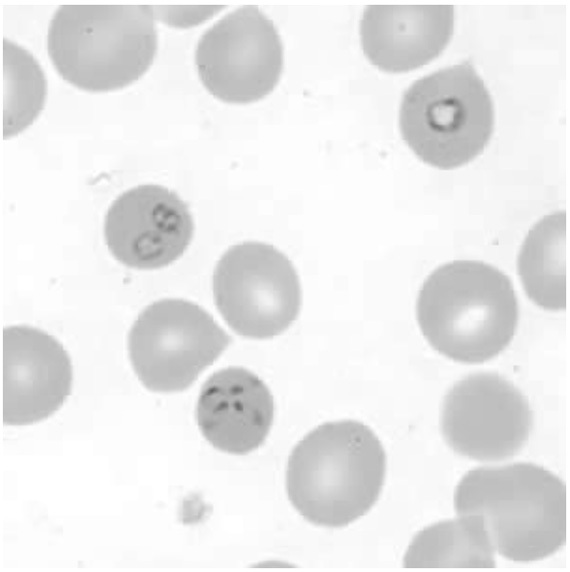 Most clinicians do not consider Babesia when a patient presents with these symptoms—they are often more cancer-oriented in their thinking when hemoglobin or white blood cell levels decrease. They can actually initiate chemotherapy for a supposed cancer. It takes a rare and exceptional lab staff to visualize Babesia on a slide. As the author of six Babesia books and other tick infection writings, I have sent many Babesia and tick infection cases for blood smear testing. I have had antibody positive and PCR (DNA) positive Babesia patients, yet the most respected routine labs never see the Babesia organisms on a smear. Nackos had a good laboratory team. 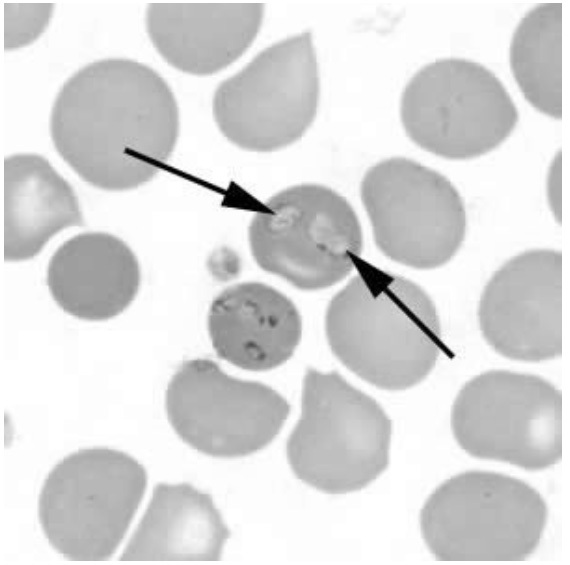 (Perhaps the blood Babesia volume was showing infection in a high percent of cells, as seen in image 4). IMAGE 4. This European woman had been treated with routine Babesia medication by infection specialists. Do you think the treatments and duration worked? This is a deadly number of parasite-filled red blood cells. Babesia microti can cause deadly hemolytic anemia and/or dangerously low platelet levels (thrombocytopenia) per Nackos. I would add that it can also alter other labs such as decreasing white blood cell levels to 1200-5,000. 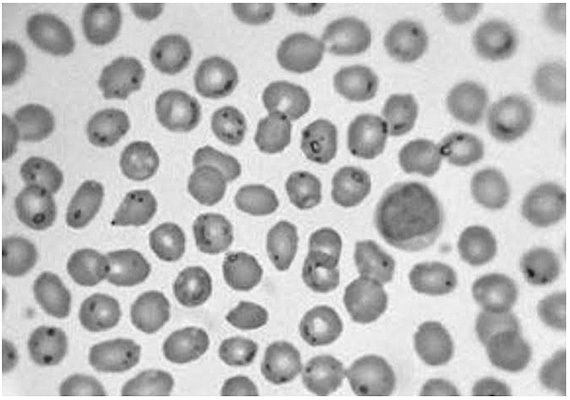 Altered red blood cell (RBC) numbers can also hint at the presence of Babesia. Direct testing for Babesia at the major world labs fail both patients and the doctors who treat them. Both antibody testing and DNA (PCR) testing at the largest world laboratories have little sensitivity. No laboratory tests are perfectly sensitive, however, the best and most advanced laboratory for Babesia antibody testing, PCR and smear visualization is IGeneX. I am often perplexed when someone tests for "Lyme" at IGeneX and no other infection, such as Babesiosis, is explored. I have had patients who were positive for Babesia and Bartonella with no Lyme disease. One simple tool used to diagnose Babesia is to start treatment with Babesia medications. The more treatment given the patient, the more likely you are to get a positive direct or indirect Babesia test. Physicians are trained not to treat without good evidence of a positive diagnosis. Unfortunately, that means using routine local labs that will almost always miss the Babesia. However, once the physician cancer patient in our HES study was exposed to two strong Babesia medication options and the semi-synthetic herb artesunate--not the weaker artemisinin—his Babesia antibody test converted from negative to positive, and some other indirect chemical markers of the presence of Babesia changed as Babesia organisms were killed. Zhao23 provides a useful example of the defect of PCRs in a Babesia transfusion death. A patient given Babesia-infected blood died from the Babesia. Although tragic, we should not be surprised since only last year Goodell24 reported that no Babesia test exists or is utilized to screen blood donations in the United States. In investigating this man's death, 13 blood donors were tested for B. microti. All donors were negative by PCR. However, one donor living in New Jersey had a profoundly elevated B. microti antibody titer (1:1024). IGeneX has a test that helps visualize Babesia duncani and microti. It uses a probe that has one end that attaches to the organism and another end that is vividly visualized to help a microscope expert see the Babesia. However, as you recall, seeing Babesia is an activity that takes more than an hour unless you are infected with a dangerously high level of Babesia organisms. Our position is that this is a good test to determine quantity. If you are positive, you likely have a high level of Babesia. This does enhance examination of a blood smear, but roughly 85% of the positives will be missed. Babesia is missed by LLMDs25 and infection physicians because of their reliance on laboratory results rather than the art of diagnosis which uses a good patient history and examination. This over-reliance on lab results is one of many reasons for the failure of LLMDs and infection physicians in tick infection care. Lyme is seen as the "core infection," and Babesia is a co-infection. This is an error. Typically, people who have a positive FISH become negative with effective care. This does not mean they are cured; it means they are losing body load, making Babesia harder to see, even with this smart enhancement tool (FISH). I do believe the test is worth ordering if the patient can afford it. 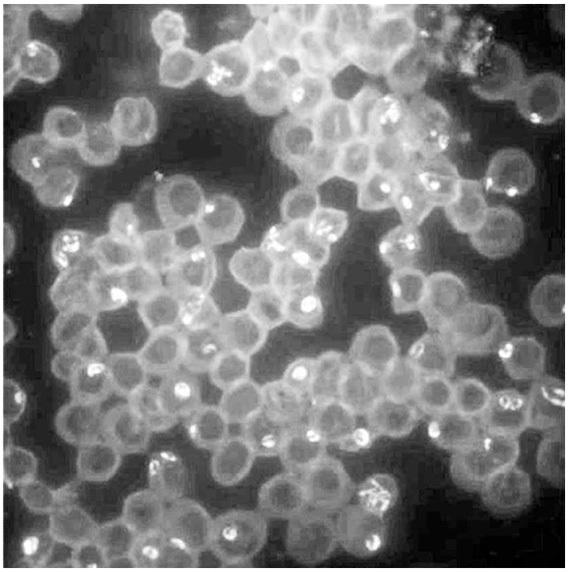 (Image 5 is a black and white picture of the FISH test showing various types of Babesia inside red blood cells). IMAGE 5. The FISH image, in black and white, enhances the visibility of Babesia microti and duncani. 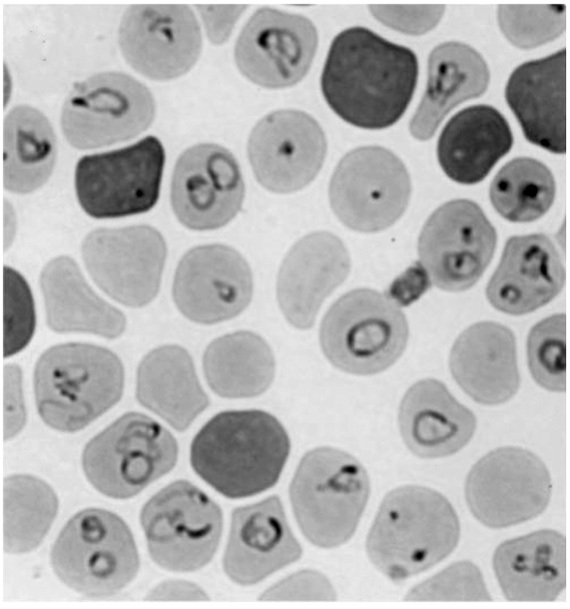 There is about fifteen different Babesia forms shown. This was supplied by Dr. J. Shah of IGeneX. This protozoa was sent to the CDC who reported that it was a protozoa, and it was not malaria or Babesia. They could not identify it. Dr. Stephen Fry reports that many studies are being conducted with the goal of publication in a close time frame. We believe that the DNA sequencing done by the Fry Laboratory genetics experts shows a new form of protozoa that is a biofilm engine. For more information, see my summary article at: www.personalconsult.com/posts/FL1953.html. We also offer options for treating FL1953 biofilm issues in the best-selling biofilm textbook in the world.26 (Image 6 shows hundreds of black tiny red blood cells with a large white collection of complex biofilm jelly generated by FL1953). IMAGE 6. 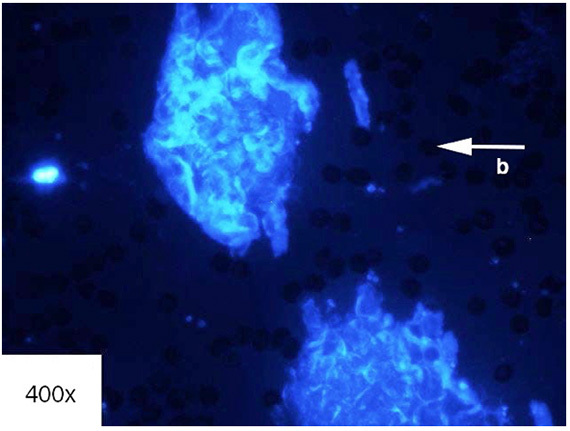 FL1953 or Protomyxzoa rheumatica is shown creating biofilm. The CDC reports that it is a unique protozoa per Dr. Stephen Fry. Fry Laboratory reports it is a genetically unique protozoa. The small black circles marked by a “b” arrow are hundreds of red blood cells. Notice the two massive white biofilm balls that are approximately 100 times the size of a red blood cell. Source of image: Fry Laboratory. 100 years ago before antibiotics, Rocky Mountain Spotted Fever (RMSF) was death to between 20% and 80% of the people who contracted it—the difference in death rate depended on a small difference in location. The next town could have a radically different outcome. My appeal is that we know that Babesia species have many strains. The variation of strains from state to state determines some of the variation in symptoms of patients from different areas of the country. One of the disasters in treatment is based on the variation we mentioned with RMSF. Baseline pre-2015 treatments were weak and showed ignorance of the power of Babesia—it is vastly harder to kill than malaria. Therefore, simply plugging in malaria herbs or drugs can fail. Modern treatments might be founded on a famous paper27 that seemed to define perfect Babesia care rigidly for 15 years in infection care both by infection physicians and LLMDs. In 2000, Krause, who had published concerns of sub-optimal results with clindamycin and quinine therapy,28 reported low side effect and high success with a short course of atovaquone (Mepron) liquid at a dose of 1,500 mg/day used in the presence of azithromycin (Zithromax) 500 mg/day.29 While the addition of another tool in the treatment of Babesia should be welcomed, many aspects of this approach are found to be flawed in 2015. A review of Babesia species which infect humans shows immense variation, and the idea one dosage for everyone is limited medical science. The infinite complexity and uniqueness of your body as it changes each month in hundreds of systems confuses Babesia treatment with the purity of basic arithmetic. Human immune systems are complex and never clones in which everyone in a city could be given the same exact treatment for the same duration. The determination of the presence of infections like Babesia in ticks and human bodies is markedly limited. Some patients are extremely sensitive to the atovaquone and they do not have an allergy. They experience a dose flaw. It is too effective. Not everyone can handle 1,500 mg per day. The role of azithromycin and the dose used seems arbitrary. We can easily measure blood levels and on 500 mg/day the range of levels are highly variable. Lesson one is that all treatments should be started at a low dose and increased to make sure no one is made to feel discomfort by the dose of the medication or herb. Treatments tend to make people feel better and then make them slightly uncomfortable. Most can tolerate an increase after days or a month. No single recipe exists. The patient and physician need to talk. Malaria medications should be examined but not blindly added. I do not find any evidence that doxycycline, minocycline, clarithromycin, azithromycin or sulfamethoxazole/trimethoprim (Bactrim) kill Babesia. I feel the side effects of clindamycin and quinine usually would not make them a first line treatment. Of the treatments that do work, we believe Babesia is so dangerous and disabling in the long-term, that at least three direct Babesia killers should be used before someone is considered ready for the end of treatment. Artemisia or Sweet Wormwood (Artemisia annua) may prevent a malaria infection by just working in the harvesting and tending of this herb. (See image 7 of Artemisia annua). But to kill Babesia, semi-synthetic derivatives are required. Qing Cai Zhang, the expert herbal physician sent to the United States at the request of our nation, has discussed Babesia treatments.34 In his Artemisia and double potency Artemisiae-2 products, he uses artesunate, which is a synthetic modification of Sweet Wormwood. Please note: this is not wormwood (Artemisia absinthum). IMAGE 7. Some Artemisia annua or Sweet Wormwood plants which are grown all over the world. One routine Babesia treatment used by LLMDs and functional medicine healers is artemisinin. I wrote in three texts that this derivative is dated, weak, and not even potent enough to kill malaria.35, 36 The inability of artemisinin to kill malaria due to resistance is one of many reasons top malaria agencies are looking for and using other Artemisia derivatives. Artemether/lumefantrine (Coartem or Riamet) is one medication that is partly an Artemisia derivative. This effective malaria medication is also often an effective Babesia medication, and does not have the "yellow paint" taste of atovaquone. In the United States it only comes as a tablet: 20 mg of artemether with 120 mg of the synthetic lumefantrine. In many other nations, a generic is 4 times as potent. It is an appealing, small tablet that is dosed 8 tablets daily for three days for the treatment of malaria. That dose is profoundly too high for Babesia. Patients may detect benefit at a dose as low as 1/4 to 1 tablet a day. You can determine the upper dose with your physician. I was concerned about the risks of artemether ten years ago, but after seeing and reading its safe use in millions, I no longer fear this option. Atovaquone/Proguanil (Malarone) is a combination of the atovaquone mentioned above (Mepron) in a tablet form combined with proguanil.37 This is primarily the only way for most physicians to prescribe proguanil. One initial issue is that it can cause nausea far in excess of what is tolerable. Therefore, we suggest taking the medication in 1/4 or 1/2 tablet units inside empty gelatin capsules, first inside an 0 and then inside an 00, so that the tablet has a double coating. This will end nausea based on stomach contact. If nausea is still present due to direct stomach contact, the addition of marshmallow root is effective at slowing and protecting an irritated stomach mucosa. Dosing should be started at 1/4 to 1/2 tablets per day on the first two days, and then adjusted based on patient experience and insurance coverage. We believe that this is a good, modest Babesia treatment option. Synthetic garlic derivatives are not your average garlic extract. If one reads Professor K. Huang38 and Dr. Zhang, it is clear that synthetic drugs have a massive foundation of research in China and Asia, and these do kill Babesia. But they also kill everything a tick or flea might carry. You can carry a garlic smell for 36 hours, and dosing needs to start with a pinch or a 1/3 to a 1/2 of an allicin capsule from hepapro.com. It may say "allicin" but it is not mere natural garlic. Mefloquine (Lariam) does kill Babesia.39 However, in our very precise examination of insomnia, mood, irritability, restlessness and concentration, I believe the medication tends to create side effects that are not related to the killing of Babesia. I do not feel that in most situations these common problems, minimized by some, warrant using it for Babesia. Nitazoxanide (Alinia) is a newer medication in the parasite community and in the United States, it is approved for diarrhea caused by Giardia and Cryptosporidium parvum in children. The French report effective use against Fasciola which is a human parasitic disease.40 Dupouy-Camet41 usefully makes this statement about the uniqueness of nitazoxanide: "[it is] a well-tolerated anti-parasitic agent with a broad spectrum because it is active on many intestinal protozoa and helminths. It acts in the same metabolic way as the 5-nitro-imidazoles inhibition of the ferredoxine reductase) but without synthesis of free radicals and DNA deterioration of the target cell. It is thus neither teratogenic nor mutagenic." However, this drug does exit the intestinal track and has other actions that we believe include effective Babesia killing in some individuals and with some strains. Essential Oils have many compounds that can kill Babesia and also kill human cells. If anyone is truly interested in using this useful and dangerous class of treatments, please start by reading Tisserand and Young's excellent textbook, Essential Oil Safety: A Guide for Health Care Professionals, 2nd edition.42 If your healer has not read this book, they have possibly become out of date. If the person proposing essential oils is not familiar with the book, propose it for your safety. Further, we currently have the best-selling biofilm book43 in the world, and it discusses many of the most effective anti-bacterial, anti-fungal and anti-protozoal essential oils. 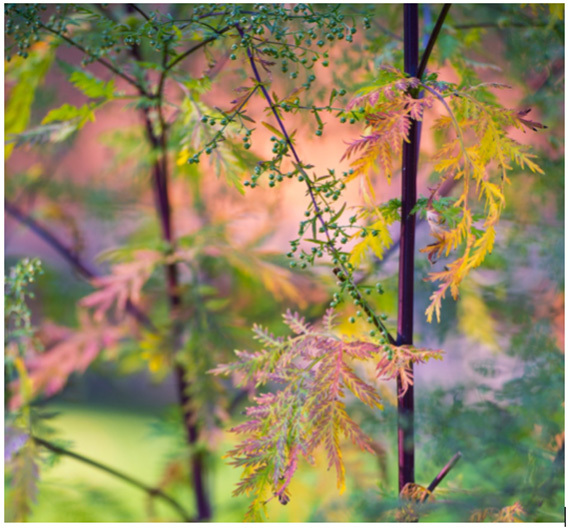 Herbal Options for Babesia were initiated above in our discussion of some of the most common medicines in the world—Artemisia or Sweet Wormwood, artesunate, artemether and artemisinin. But many other herbs exist that have anti-malaria and anti-Babesia properties. Hyperbaric Oxygen Therapy (HBOT) has many exceptional benefits, but it does not kill Babesia or any major tick infection. For example, we financed a study for over $100,000 to determine the ability of HBOT to kill Babesia, Lyme, and Bartonella. Test subjects received 110 to 120 treatments at 2.4 atmospheres for 90 minutes. There was no change in their indirect or direct lab results, or their clinical function. Infrared Sauna treatment is based on both high temperature and infrared waves to kill infections. Babesia is very hard to kill and most of your 100 miles of blood vessels are out of the range of the rays, and high external temperature is not curative of Babesia. A high internal temperature, such as a fever, is a body response to a pathogen. Ozone is gaining resurgence in interest due to biofilm resistant infections. In terms of ozone, I would suggest as starting points the research and books of Bocci,46 Shallenberger,47 and other healers looking for treatments outside of synthetic pharmaceuticals. 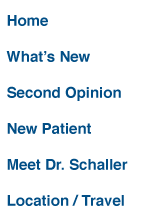 Certification and training societies now exist all over the world. We feel direct injection of ozone into veins is malpractice, but that ozone is a useful option that has extensive research and utility in careful wise hands. It has to be dosed carefully, since it is common that individuals kill more of an infection than intended, which causes profound inflammation and discomfort. Ozone is used many ways in industry48 and health.49- 53 It is also an effective killer of micro-organisms in pools. One common route to use ozone as a therapeutic agent is to remove blood, add an anti-clotting agent, and return the treated blood to the body. This is not a cure, but our observations over twenty years show that it delays Babesia relapse and is a useful tool to augment treatment. Again, the dose of ozone needs to be low on initial trials. Other common Babesia treatments on the Internet and in functional medicine are Rife machines, very low dose herbal tinctures, acupuncture, intravenous immunoglobulin (IVIG), homeopathy and energy medicine. Due to space limitations, we will only mention that we are very aware of these modalities, and that some patients and healers report they work for Babesia. We have inherited patients who were using these options and their reports and laboratory findings are worthy of further examination. We appreciate that some people report that they believe these treatments are reliable and even curative. In conclusion, Babesia is a very serious infection with poor to fair sensitivity of laboratory testing, and effective treatments need to be tailored to each patient—mill medicine and simplistic "protocols" lead to poor 5-10 year outcomes. Finally, all the comments made in this article are only to be considered with the licensed counsel of your local healing professional. Nothing expressed is to be considered the standard of medical care in the United States. Kimberly Mountjoy, M.S. is a chemist, researcher, and co-author of seven books and eight peer-reviewed articles in chemistry and biochemistry. She has worked in research in industry and in respected science centers for many years. Most recently, she has been involved in hands-on patient care before joining Dr. Schaller.